Lacie Grunska M.A., MFTC, LAC, CSAT, CSPT, CSST, CJP is a Lakewood teen therapist. As as a Licensed Addiction Counselor and Licensed Marriage and Family Therapist Candidate, Systemic Art, Play, and Sandplay therapists, Lacie completed her Masters degree at Argosy University. Lacie completed her internship here at In Focus Counseling and has stayed here to blossom her career as a licensed clinician. She obtained her Bachelor’s in Human Services with an emphasis in Rehabilitative Counseling and minors in Art and Psychology at the University of Northern Colorado. With diverse experience in the short-term acute treatment of mental health disorders, detox, court mandated, residential, and transitional units for substance abuse, outpatient day programming for children with autism, and youth corrections, Lacie has found her niche and passion in helping children, teens, individuals, couples, and families using system-based approaches, expressive arts, and group therapy in the treatment of behavioral issues, depression, anxiety, substance abuse, and trauma. 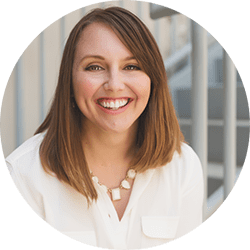 As a Licensed Addiction Counselor, MFTC, and Lakewood Teen Therapist with In Focus Counseling, Lacie helps teens and families navigate the ebbs and flows of behavior and mood.